A Better Way to Protect Beans from White Mold - Heads Up Plant Protectant Inc.
Left side: Untreated Pinto Beans. Right side: Heads Up® treated Pinto Beans. Photo taken: ICDC, Outlook SK, September 2017. Did you know? In 2017, all dry bean seed brought to Alberta (Canada) was treated with Heads Up®. 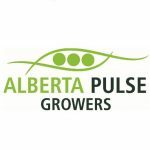 Dr. Michael Harding, Brooks, AB based research scientist and plant pathologist, with Alberta Agriculture and Forestry recently released a new article to Alberta Pulse Growers on the efficacy of Heads Up® in dry bean production. Noteworthy, Harding discusses his experience as below.